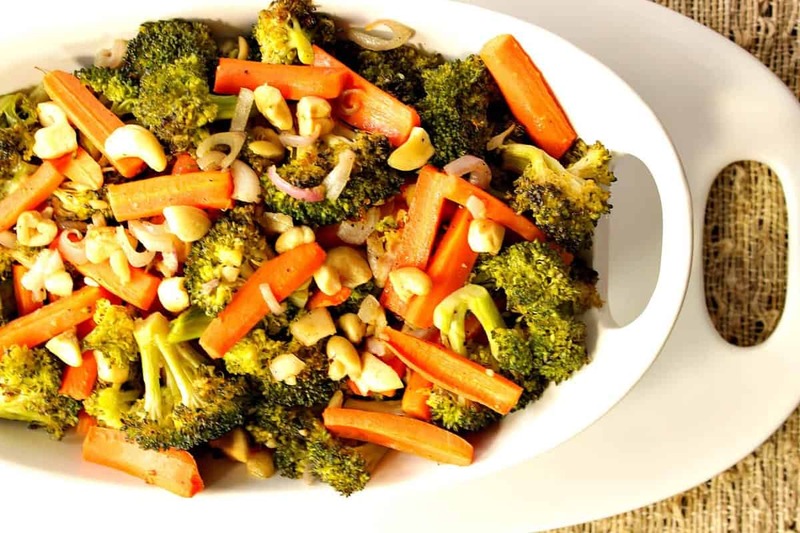 It’s easy to turn vegetable haters into vegetable lovers with this dish of Oven Roasted Carrots, Broccoli, Shallots, and Cashews. Lightly caramelized, and deliciously flavorful, these oven roasted veggies are the perfect side dish to make for any meal. Or, since it’s so satisfying, why not make it as a vegetarian meal all on its own? 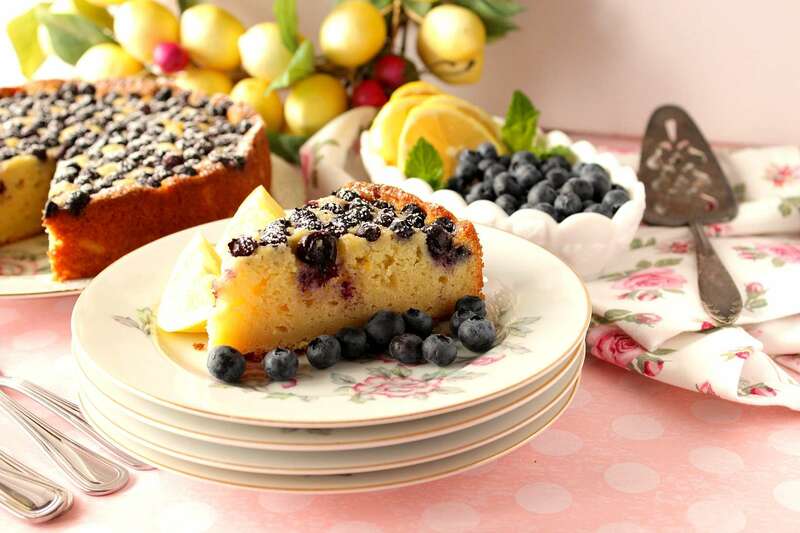 Whichever way you choose to serve this dish, I know you’re going to love it! 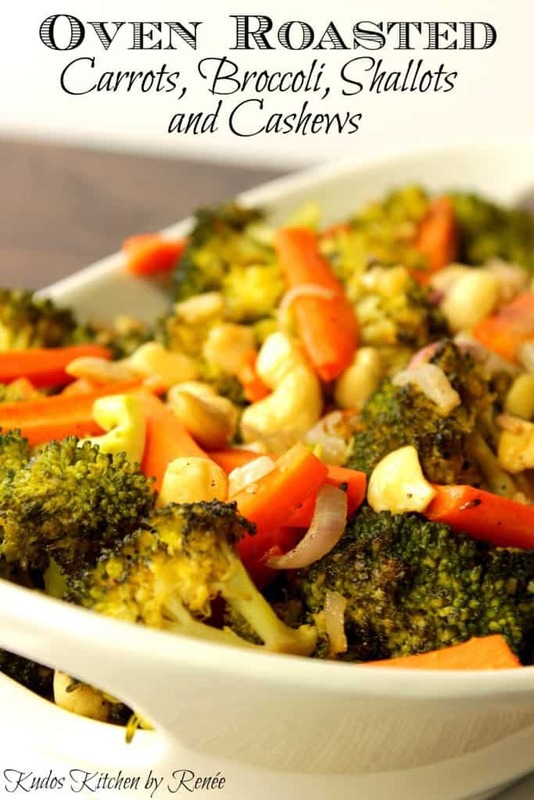 **Please Note – The printable recipe card with detailed instructions, complete ingredient measurements, and nutritional information for making Roasted Carrots, Broccoli, Shallots, and Cashews is available near the end of this post. I’ve always been a vegetable lover. I was always the one who would grab a spoon and finish off the remaining vegetables in the bowl at dinnertime. Things haven’t changed for me. I still love vegetables just as much today as I ever did, only now my preferred method for preparing them is roast them in the oven. Roasting these vegetables at 425-degrees turns them sweet and nutty with a slight bit of caramelization, and sweetness. Even people who aren’t prone to enjoying vegetables will have a change of heart when it comes to oven roasted vegetables. Since first making this combination of roasted vegetables, and then including shallots and cashews, I can’t seem to get enough. My family also enjoys this ingredient combination since roasting vegetables is a surefire way to get even the most finicky eaters (husbands included) to try, and ultimately enjoy, the veggies on their plate! Will frozen vegetables work in this recipe? No. Fresh vegetables are best for roasting. Frozen vegetables take on too much water during the freezing process and tend to be soggy. Oven roasting fresh vegetables makes for a firmer but still tender finished vegetable. 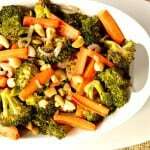 Making Oven Roasted Carrots, Broccoli, Shallots, and Cashews is easy to do and is a great way to incorporate fresh vegetables into your diet. Is there a specific way to chop the vegetables? You’ll notice in the photos, I like to cut my carrots into batons. However, please feel free to cut your carrots into discs (coins), but make sure they are still an approximate ¼” in thickness. Cutting the carrots any thicker than a ¼” will have you running the risk the carrots won’t cook at the same rate as the broccoli, leaving you with overly crunchy carrots. Do the cashews need to be raw, or can other nuts be substituted? You can use whatever nut you love. Cashews are my favorite, and they’re so good for you! I used raw cashews since that’s what I had in the freezer. I realize that not everyone stockpiles raw cashews in the freezer, so please feel free to chop up any cashew (or nut) you may already have on hand. *Note – if you do choose to use pre-roasted and salted nuts, make sure to cut back on the salt called for in this recipe. Like and subscribe to my Kudos Kitchen channel on YouTube. I hope you’ll enjoy the complete video from start to finish. This Rustic Roasted Broccoli Crostata with Cheese Sauce is a fun and unique new way to serve (and eat) your vegetables. Fall’s bounty of flavors and colors shine brightly in this delicious and easy dish of Sweet Savory Roasted Sweet Potatoes Brussels Sprouts with Apples. 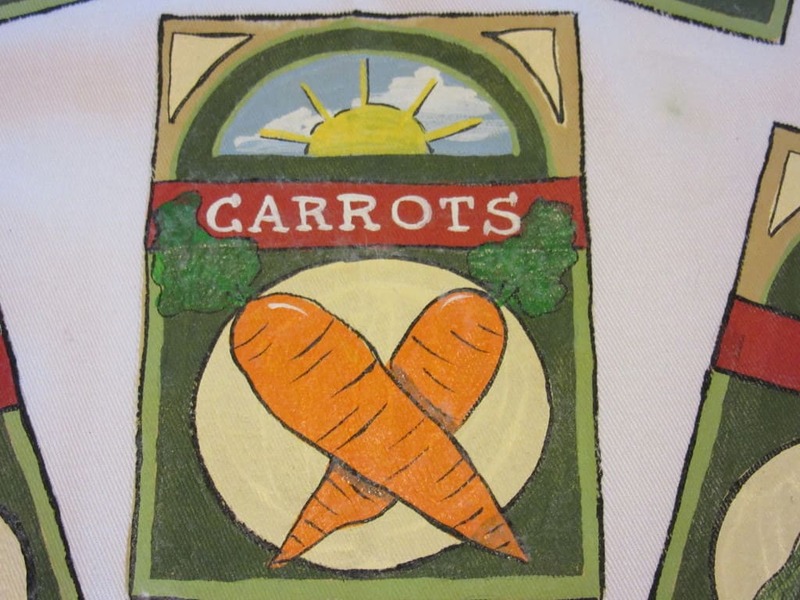 Place peeled and cut carrots and broccoli florets in a large bowl. Drizzle with grapeseed oil (or other oil of your choice), salt and pepper. Place the veggies on a sheet pan in an even layer. *Tip – I like to line my sheet tray with aluminum foil to cut back on the cleanup, but this is completely optional. 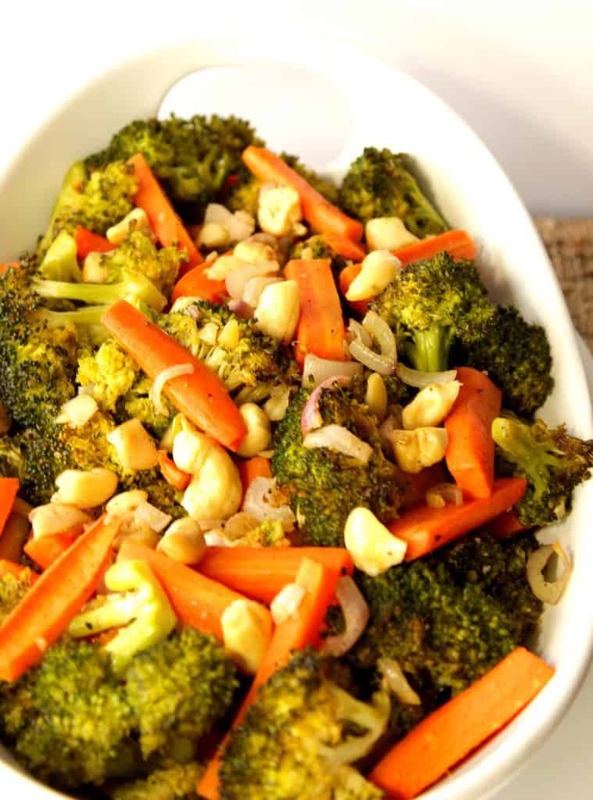 Chop the shallots and cashews and scatter them on top of the carrots and broccoli. Roast in a preheated 425-degree oven for 20-25 minutes. Preheat the baking sheet in a 425-degree oven while you chop and prepare the vegetables. Once the vegetables hit the hot baking sheet, they will start sizzle and start cooking immediately, giving the vegetables and nuts extra color and flavor. Make sure the vegetables are cut in approximately the same size. This will make sure that they cook at the same rate in the oven. 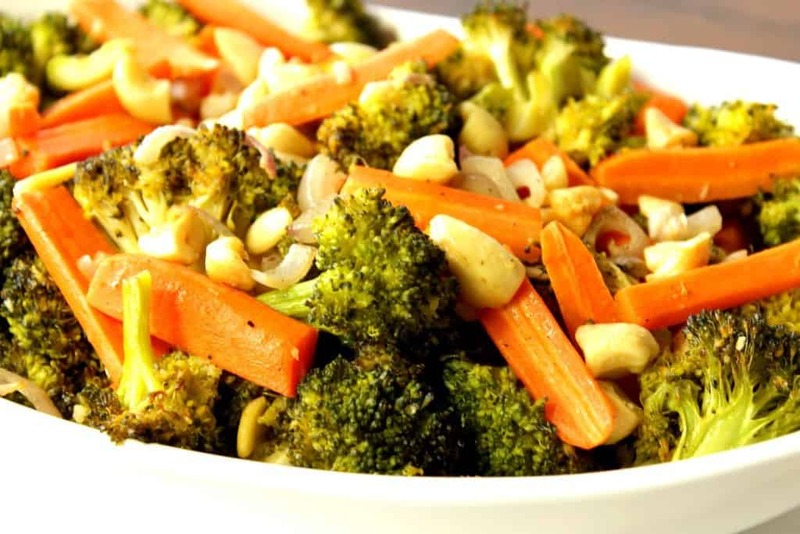 Toss the vegetables and nuts liberally with oil, salt, and pepper before adding them to the hot baking sheet. Halfway through the roasting, remove the vegetables and give them a good stir. Return them to the oven to continue roasting until they’re firm, yet tender. Make cleanup a breeze by covering the baking sheet with aluminum foil. 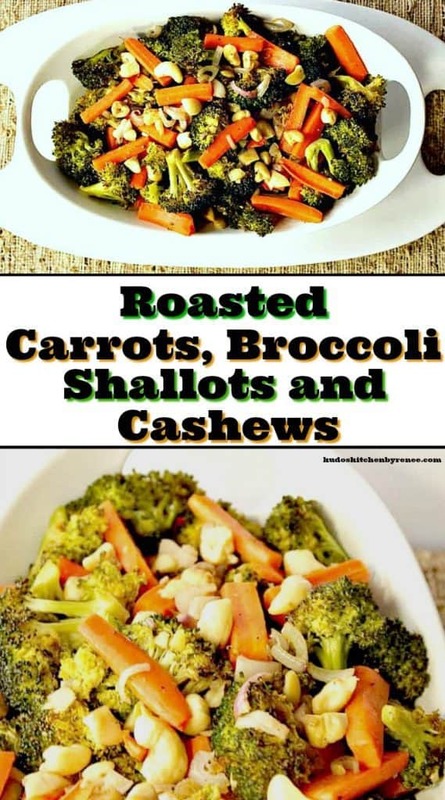 **The following affiliate links are some suggested products I’ve chosen that will aid you in the making and serving of this recipe for Oven Roasted Carrots, Broccoli, Shallots, and Cashews if desired. 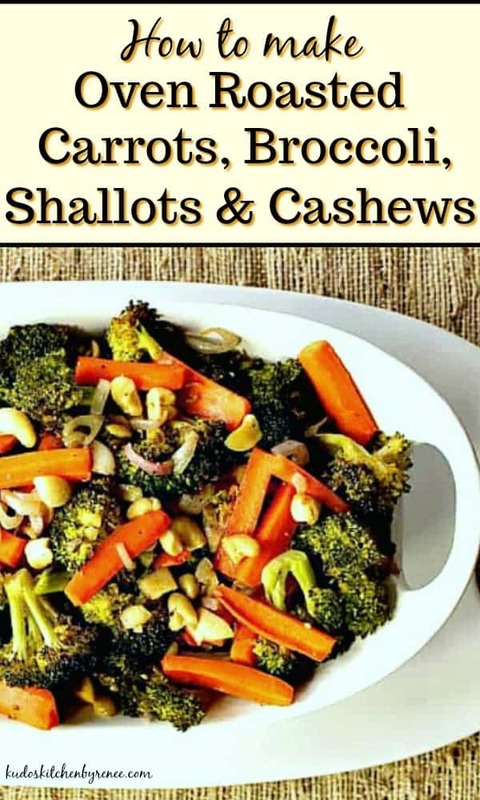 Below is the printable recipe card for today’s Oven Roasted Carrots, Broccoli, Shallots, and Cashews. Even the pickiest of eaters will enjoy this combination of roasted veggies. Place the carrots and broccoli in a large bowl. Toss with the oil, salt, and pepper. Place the vegetables evenly on a baking sheet covered with aluminum foil (optional). Top the vegetables with the chopped shallots and cashews and toss thoroughly, making sure the ingredients are in an even layer after tossing. Roast in a preheated oven for 20-25 minutes, tossing halfway through the roasting process. NOTE - If using roasted, pre-salted cashews, cut back on the amount of sodium called for in this recipe. 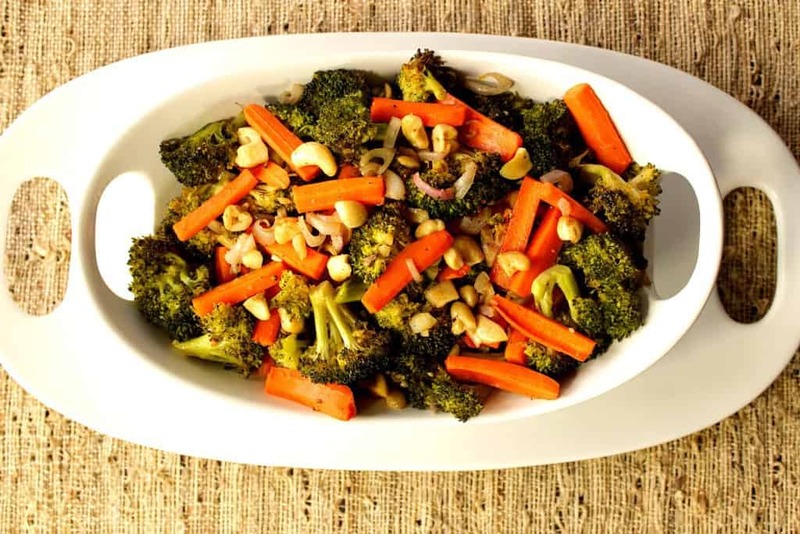 I sincerely hope you’ve enjoyed today’s recipe for roasted carrots, broccoli, shallots, and cashews as much as I’ve enjoyed bringing it to you. 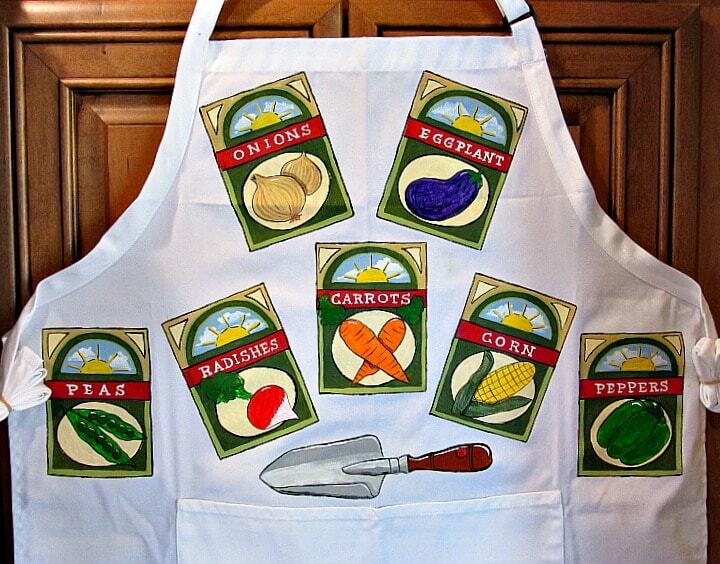 Since I love vegetables so much I’ve decided to coordinate this recipe with my hand painted seed packet apron. These carrots are gorgeous!I have a majority of the ingredients on hand already and I’m looking forward to trying this recipe. You’re welcome, Noelle! I know you’ll love this roasted veggie dish! Wow, this looks so flavorful and delicious! I could definitely make this for my family for one of our weeknight dinners! 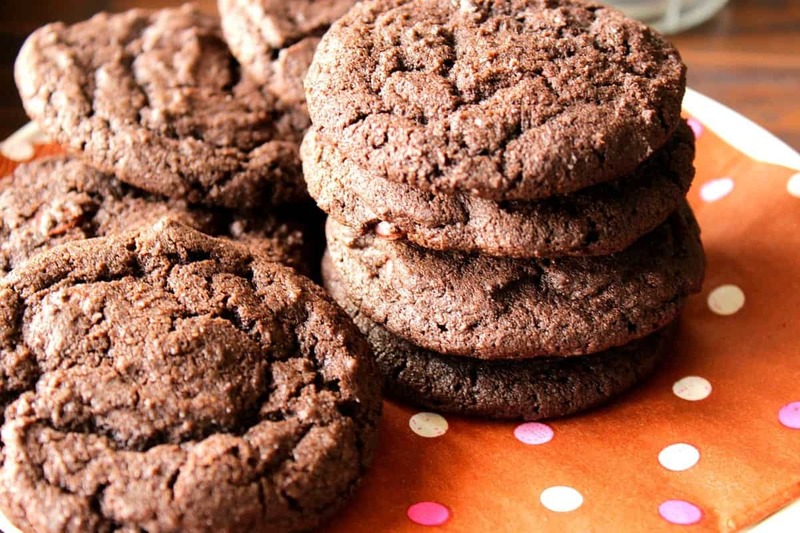 You’ll love them, and I bet your kids will, too! Thanks.